Should I apply for home health position? I think I would like doing home health as I got to shadow one for clinicals once. I was a lpn for a few years at a nursing home and did med-surg for a few months as a RN. Do you guys think I'm qualified to start a new job in home health? 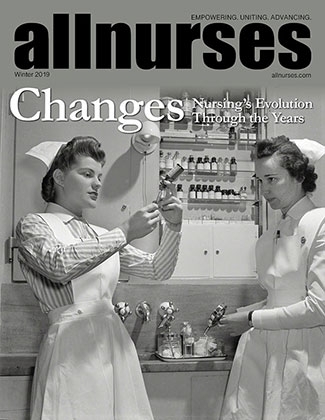 Any newer nurses had success at this career? Thanks in advance. fsudmbRN has 10 years experience. I was a nurse for six years before getting into home health. You must be able to stand on your own. You don't have anyone there to back you up or to ask questions to. There is no readily accessible doctor to ask questions. Home health was really the only job i was able to get in nursing after graduation. I called the nurse supervisor when i needed help, and did not accept cases that were too complex for me. I did it for a year. I like to think i was successful, as my last nurse supervisor in home health just recommended me for my most recent position. I was so proud when she called me a hard worker and fast learner! It can be done. Home health nursing as a new grad? !